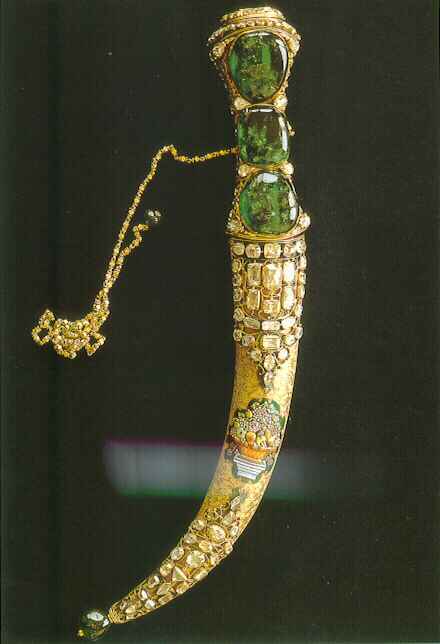 In the 1964 movie Topkapi, the thieves have to really work to steal the bejeweled dagger from the Imperial Treasury of Topkapi palace in Istanbul. Now all they’d need to do is get a job there. According to a New York Times article, security is so lax at Turkish museums that theft is endemic. 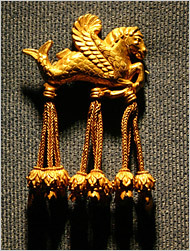 Not only are 43 pieces “missing” from Topkapi, but there is hardly a museum among the hundred that has not been burgled, including the museum in Usak holding the Lydian Hoard — a priceless collection of artifacts Turkey fought tooth and nail to get back from the Metropolitan Museum of Art — or rather, what is left of the Lydian Hoard after the museum director and his cronies took what they wanted and replaced them with copies. It’s not just inside jobs, though, and really, is it any wonder Turkey can’t keep its 93 museums and 140 open-air archaeological sites safe when the entire budget for their maintainance is $66 million a year? That’s not a typo. In its current budget the Culture Ministry is allotted $66 million to cover museum administration costs, archaeological digs, salaries of art experts and laboratory workers who maintain the collections and guards who patrol galleries and warehouses. Although 78 of the country’s 93 state museums are equipped with electronic security systems, archaeologists in the field assert that those systems often malfunction or are insufficient. As in many other archaeological source countries in the region, open-air sites lack security guards for round-the-clock security, although most looting occurs there. Turkey is a country with an extraordinary cultural patrimony. It has more ancient Greek stuff than Greece, not to mention all kinds of Roman, Byzantine, Islamic, Lydian, Persian and more that I can’t think of right now material remains. It really needs to start spending more than tip money protecting it. Until then, I just hope they track down the missing wonders one way or another. Come back soon, beautiful Lydian hippocampus! This entry was posted on Tuesday, June 13th, 2006 at 8:28 AM	and is filed under Museums, Social policy. You can follow any responses to this entry through the RSS 2.0 feed. You can leave a response, or trackback from your own site. Wow, that’s nuts. I can’t believe they don’t even have electronic security systems in all the museums. And even the one museum with the best security in the country has 43 missing items. Hell, there are probably museums that don’t even have 43 items total.